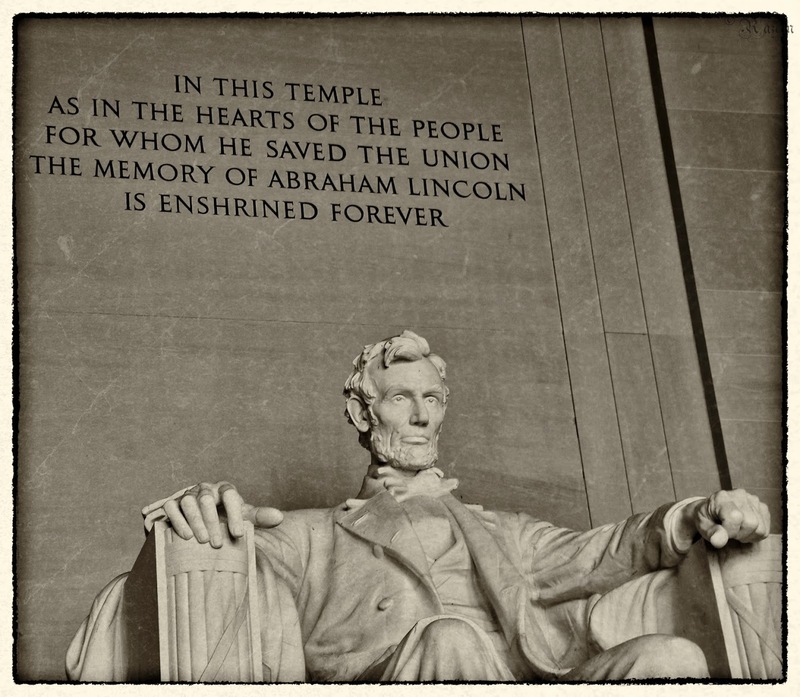 Washington DC – A Photoblog – Grab a cuppa, tell a story or listen to one. 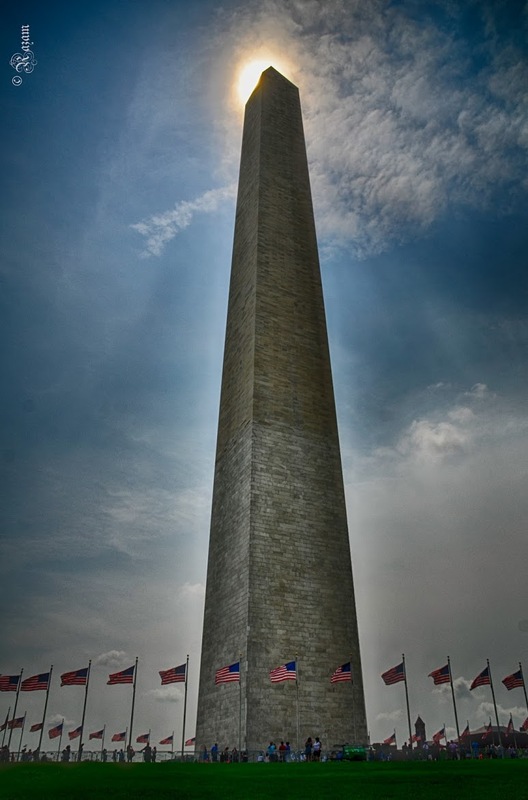 In our Travel Post this Friday, we will take you on a trip to Washington D.C. as captured by the lenses of Raj Madabushi. We have spent much of this week meeting and talking to people who are living their dreams, doing something that they are passionate about. People who are constantly finding new things to fall in love with and very forthcoming to talk about it or share their work. Raj is one such person who is extremely passionate about his lenses and what they could capture. There is a child like excitement in him when he talks about photography and we did not have have to coax him at all to share his capture. This is his new found love but one that he finds his heart wanting to do more, yearning to learn more. Washington DC is a city that intricately combines history and modernity. DC is practically in our backyard and we can drive and visit on any weekend. We were there a couple of weeks ago to add a grand finale day to our kids’ summer vacation. There was a charm in the air as always, the tall buildings; memorials and architecture looked majestic in backdrop of beautiful light blue skies. Can you spot the White House ? 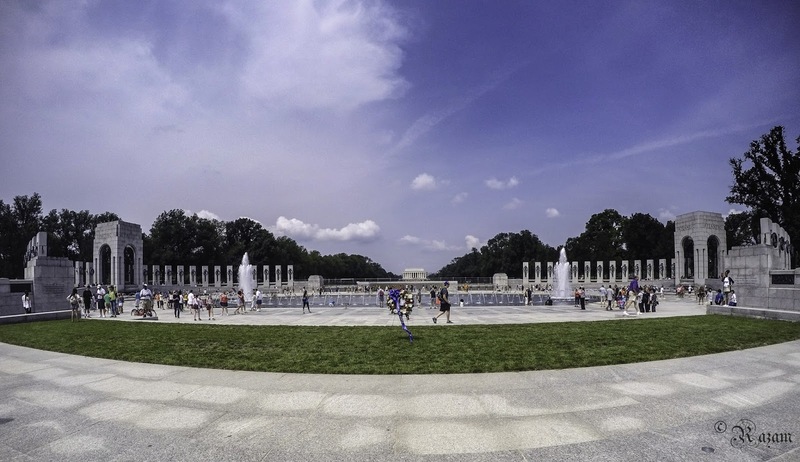 Standing in front of the tall Washington monument, or seeing it’s in reflecting pool of Lincoln memorial, the refreshing fountains and waters at World War memorials all highlighted the elegant day in DC. The structures have rich heritage and history of our nation ready to be passed on to generations which we always enjoy as much as the structures themselves. It is a great city to visit with school going children. Nothing can match up to a real field trip and here in this history seems to come alive. This is one of those many captures depicting that. We ended the day with a visit to the National Harbor. 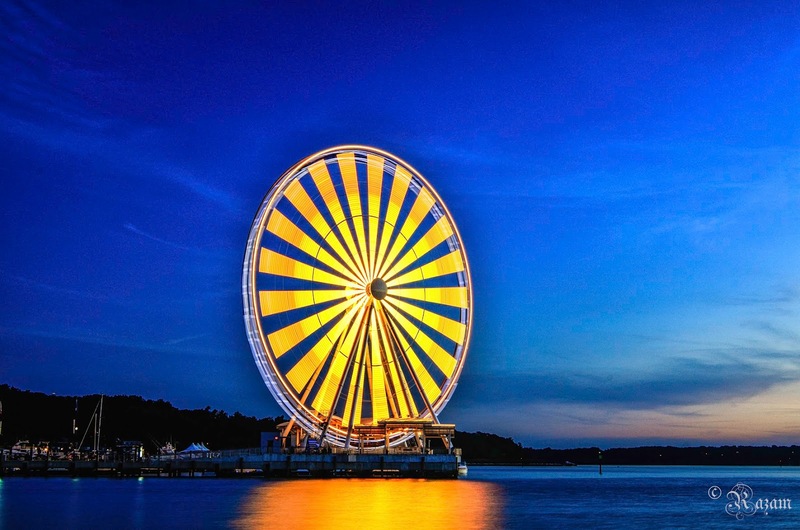 The stunning sunset dipped behind the 180 ft tall ferris wheel ready to light up the skies with its colors. A day in DC is a day well spent always! If this makes you want to take a trip to D.C., please make that happen soon. If you like Raj’s captures, you can connect with him on Flickr here.